Birds have begun to build their nests and the green begins to break through the cold soil as the days lengthen. The changing season sprouts new life from the barren winter ground as we shift into warmer, spring days that awaken the newfound life. Check around with friends, family and neighbors to see if they will save them for you. I have a tendency to avoid fast food as much as I can, but every once in a while I need something quick and cheap. 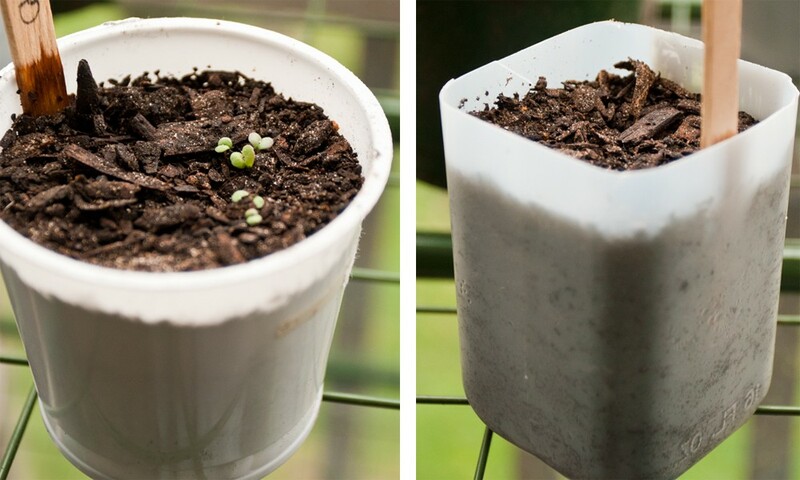 Many of the plastic containers—from salad containers to milkshake cups—are great for starting seeds. The only effort required is to poke holes in the bottom of the containers as well as the clear top if it came with one. This top will act as a miniature greenhouse for the seedlings to get a good start in. 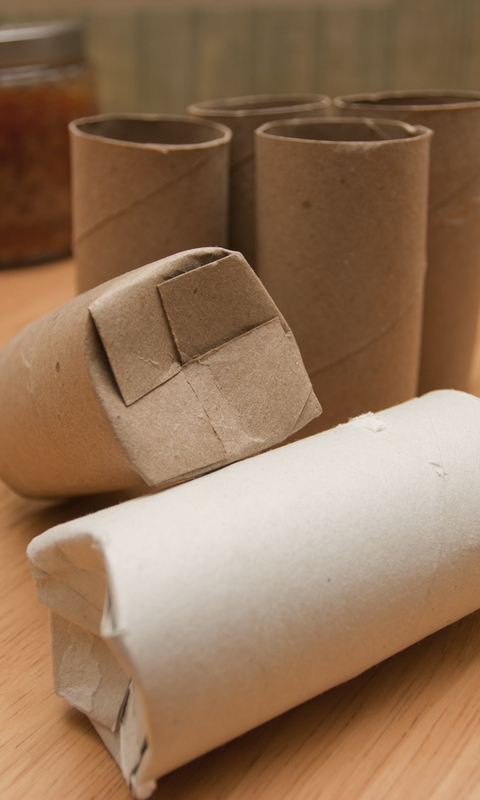 Found in every household and one of the most common household wastes, I first heard about using toilet paper rolls to start seeds from Laura Rittenhouse’s Gardening Journal. She didn’t have much luck, but I decided to give them a try anyways. So far, they have been a success and are functioning similar to the peat pots bought in a store—they dry out about as often too. I’ve chosen this as my go-to option for additional seedlings this year. To make them useable, I cut four slots in the bottom of the toilet paper rolls and folded them underneath. Place several of the rolls in an unused planter or container to hold them upright. To make my job easier, I did not put dirt around them as I do not want them to decompose faster. The idea is that the rolls can be replanted straight into the soil without disturbing the roots and where it will then decompose. 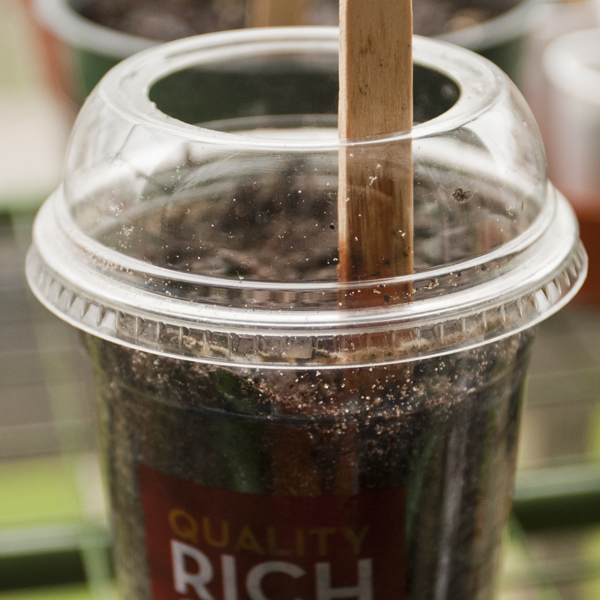 Incredibly popular, single serve yogurt cups make excellent seed starting containers. Normally tossed into the trash or recycling bin, I’m sure it won’t take long to collect enough to start seeds in. 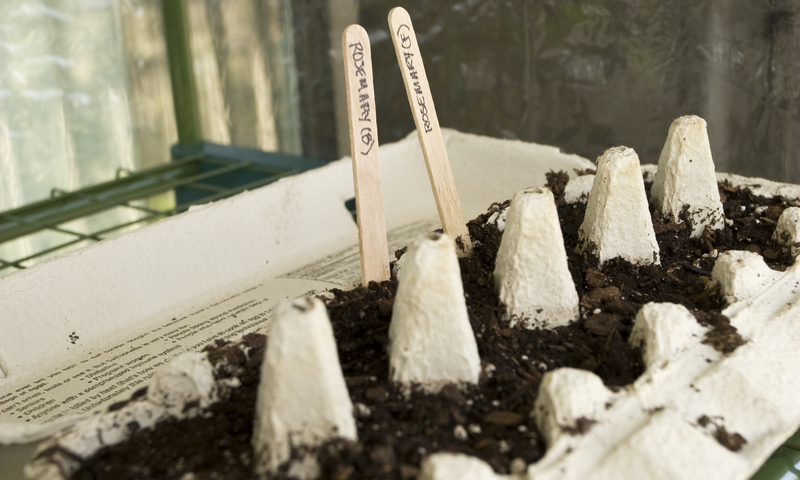 Individual serving yogurt cups, milk, and pop bottles make excellent seed starting containers. The only special attention required is to poke drainage holes in the bottom. Individual (16-20 oz.) 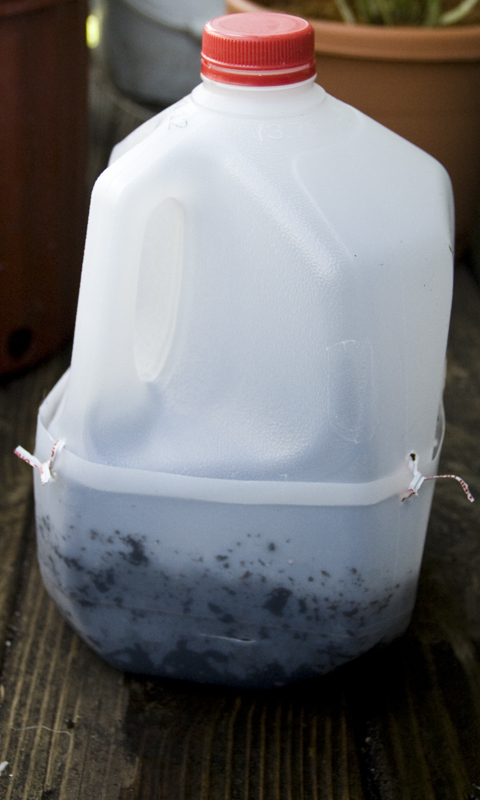 pop and milk bottles will also make wonderful containers to start seeds in. 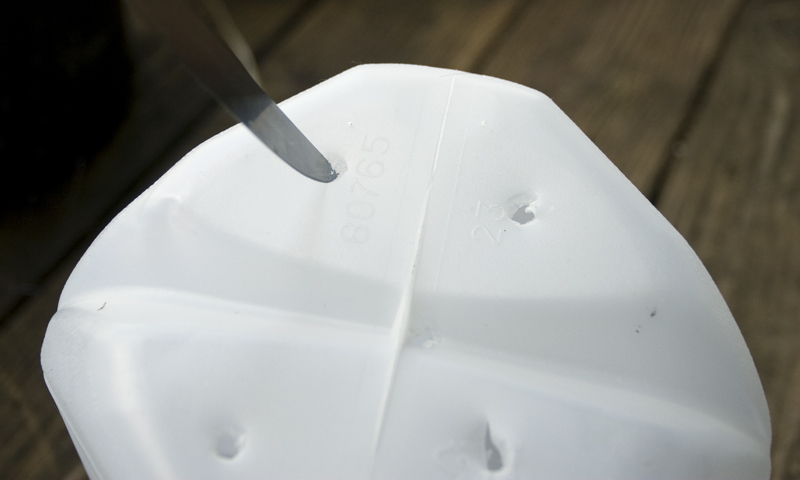 Simply cut off the top and poke some holes in the bottom. Create a miniature greenhouse by reattaching the top and removing the cap. 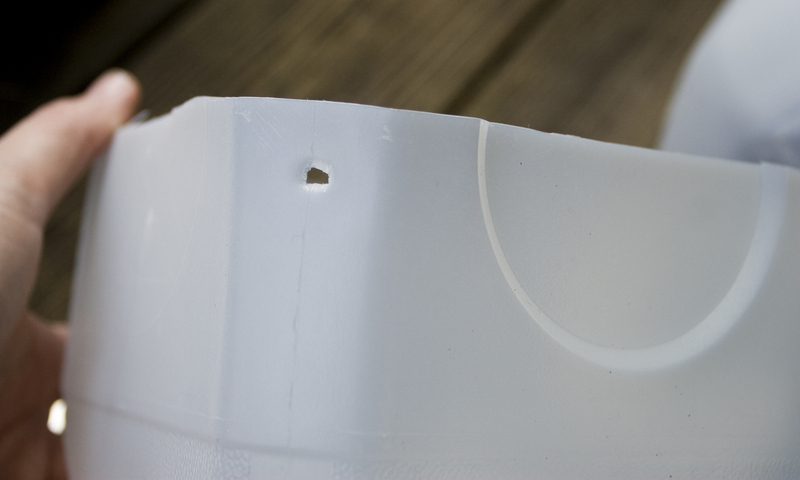 While it may be more difficult to collect mass quantities of strawberry fruit containers, they turn into seed starting containers with little work. Since they already have drainage holes, simply fill with soil and seeds of choice and they’ll be sprouting in no time! 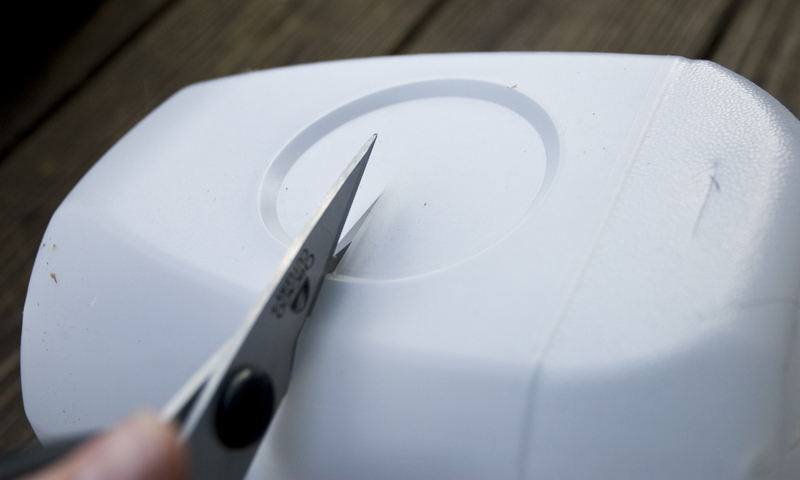 The lid even has vent holes so you can close it and let it act as a greenhouse to encourage quick germination. 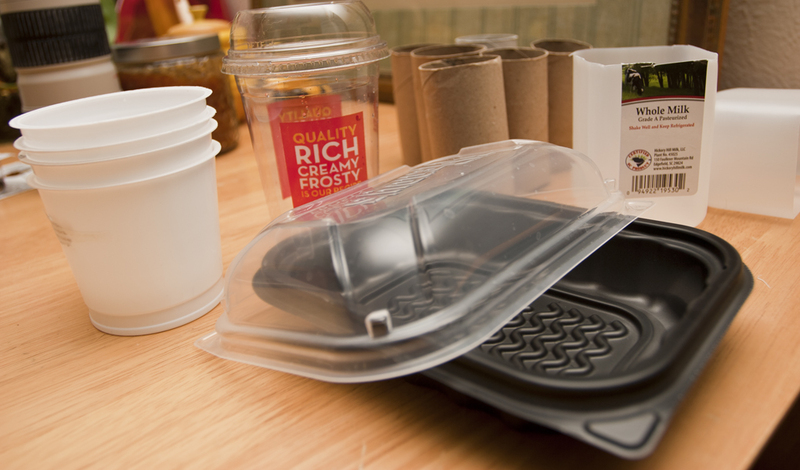 Please remember to recycle all unused plastic containers after using. I usually try to save mine to reuse the next year because we don’t have easily accessible recycling. 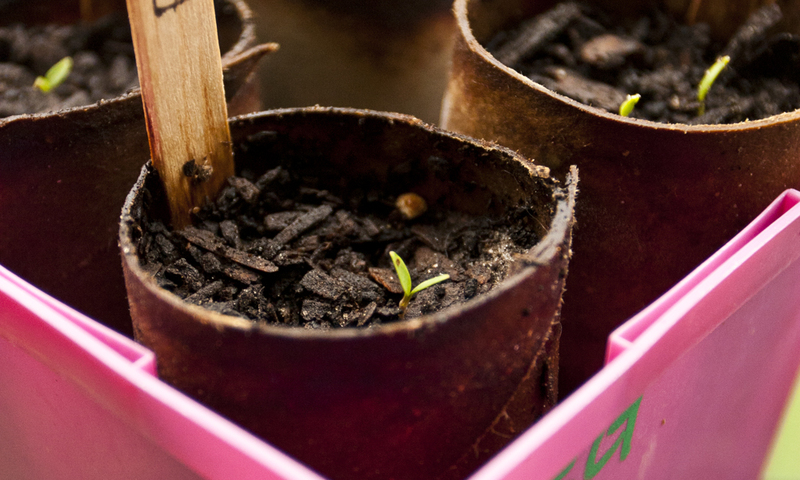 Starting your garden from seed may sound like a great, thrifty way to save some cash. However, there are several herbs that will give a variety of disastrous results when grown from seed. I strongly recommend propagating the following by cuttings or plant division. When looking to grow Tarragon, never buy seeds. It is very important to be aware of what you’re buying because incorrect labeling does occur. Many times, when you see seed or plants for sale, they will either be Russian Tarragon (Artemisia dracunculus L.) or Mexican Tarragon (Tageteslucida). 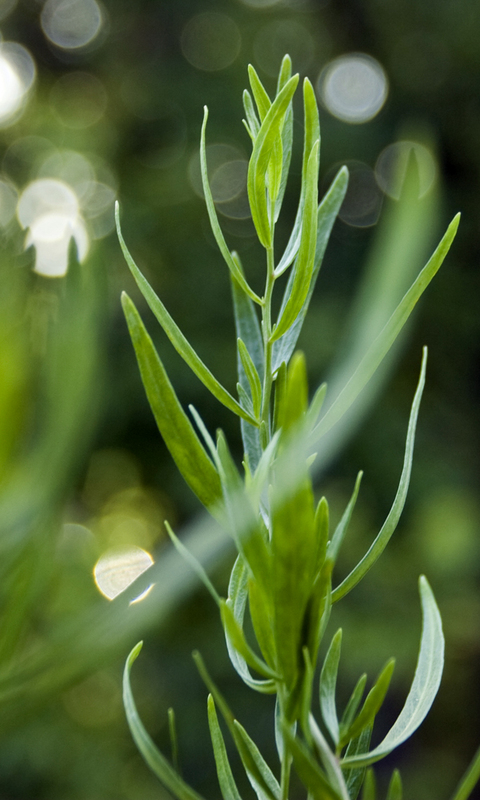 Look for French Tarragon (Artemisia dracunculus var. sativa). Taste a leaf before purchase to ensure the plant is labeled correctly—look for a numbing effect on the tongue when purchasing French Tarragon. I recommend everybody interested in growing rosemary to buy an already established plant or start with a cutting from an established plant. The seed germination rate is incredibly low—I had only one germinate last year. If you’re lucky enough to get the seeds to germinate, the seedlings can be fussy and difficult to keep alive. 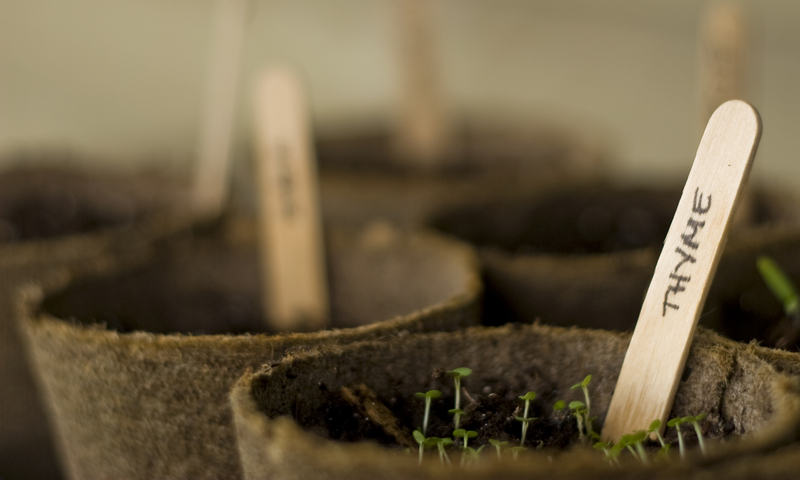 The seedlings seem to prefer a moist, well-draining soil and will quickly die if the soil remains dry too long. 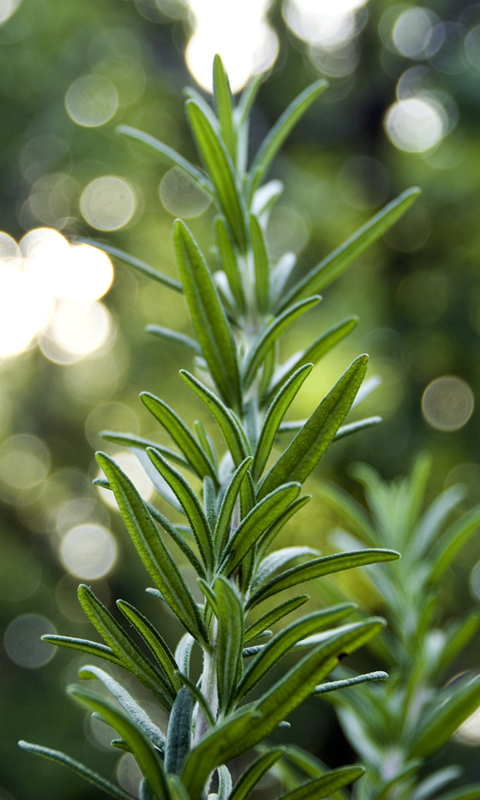 Rosemary is also slow growing and will take at least a year to establish. 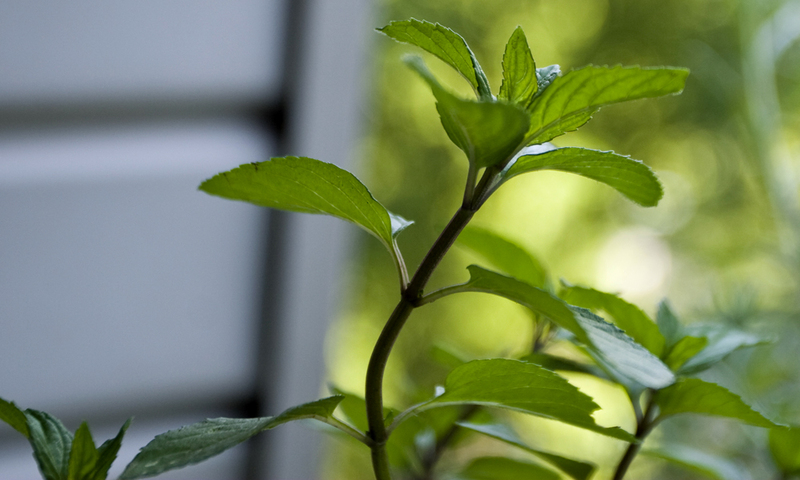 Mint plants should be incredibly easy to find and are even easier to propagate from cuttings or division. Due to hybridization, mint should not be started from seeds. This causes the mint to have a rank odor and taste. If possible, I strongly recommend finding a good wild or heirloom variety to start with. I have purchased mint varieties from stores that turn rank after a couple years of growth. Since mint tends to readily take over where it’s grown, I encourage everybody interested in growing mint to check with friends and family for a clipping or plant division. 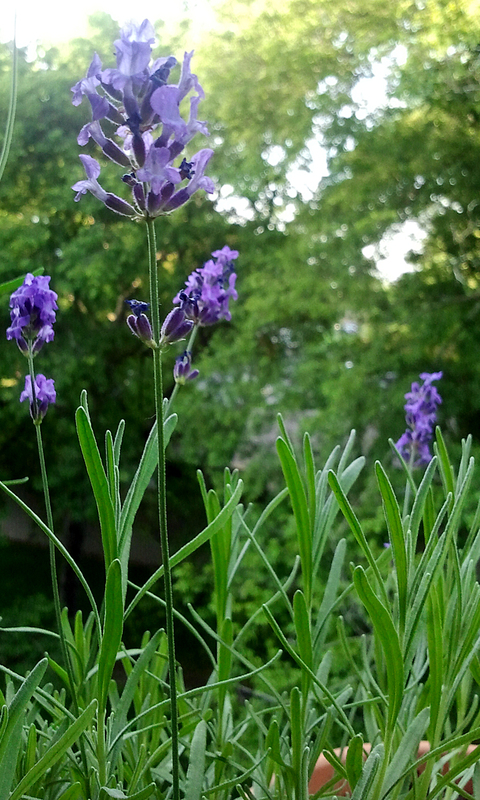 If absolutely insistent upon starting from seed, Lavender would be the safest from this list. The biggest problem with Lavender seed is that it can take up to three months to sprout. From there, it may take one year for the plant to become established and bloom. There are also many varieties of Lavender to choose from, just make sure to choose an edible variety. These plants may sound discouraging to grow, but with a little attention a garden can be saved from imposters. Starting plants from seeds may sound like a cost-efficient method to acquiring a garden, but it may have the hidden cost of replacing poor quality varieties with the proper plant. If looking to save money, cutting and plant division are the keys to success with these four plants.